This chic Guess watch presents a sleek white multidirectional dial, rose gold toned indexes and textured wired outer dial, for a unique and contemporary design. 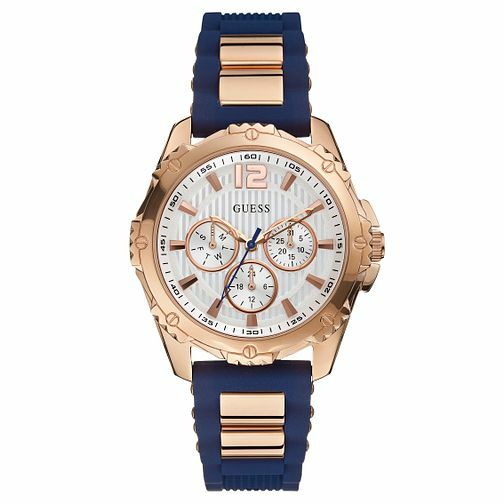 Guess Ladies' Blue Silicone Strap Watch is rated 4.7 out of 5 by 3. Rated 5 out of 5 by Anonymous from This is a beautiful watch for me!!! I didn’t know what to choose but I did the best thing choosing this watch.Is brilliant I love it.Very nice and can be an amazing gift!!! !